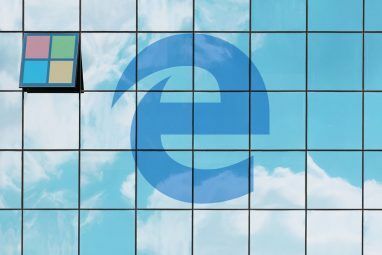 Microsoft turned heads when it unveiled its new HoloLens Microsoft Shows Off Windows 10, HoloLens, Cortana On PC & More... [Tech News Digest] Microsoft Shows Off Windows 10, HoloLens, Cortana On PC & More... [Tech News Digest] Microsoft reveals the future, with Windows 10, HoloLens, Cortana, and Spartan, BlackBerry wants app neutrality, Twitter launches While You Were Away, The Elder Scrolls Online is set free, and LittleBigPlanet does Game Of Thrones. Read More at January’s Windows 10 launch event, but it also generated a lot of confusion. Many people are confused about what separates the HoloLens from products like Google Glass and the Oculus Rift. The HoloLens actually produces an experience called “augmented reality.” Augmented reality allows users to interact with virtual objects mixed in with their own surroundings rather than in a purely virtual space. It’s an exciting piece of technology, to be sure, but where HoloLens truly shines is in its vast potential for real-world use. Here are just a few examples of real-world applications that could make HoloLens the next must-have piece of technology. This use was demonstrated in the Microsoft HoloLens introductory video. Imagine getting step-by-step instructions on things like home repair from an expert. Visual diagrams would actually show up in space around the user indicating exactly what you need to do next. This application could even extend to the battlefield, where detailed medical instructions could be given to untrained personnel in the midst of combat. This level of illustrated instruction could make getting the support you need much easier, and could even mean the beginning of a new industry of remote consulting experts. Imagine building a 3D model of pretty much anything you can imagine in the physical space around you. It’s similar to what’s seen in the movie Iron Man as Tony Stark interacts with holographic objects to build his devices (check out the video below…the only thing missing is the glasses) It’s also one of the ideas that has captured the imagination of many when it comes to the HoloLens. Using the HoloLens to construct and design new products could be an important commercial use of the device, especially in the age of bring your own device (BYOD) policies in the workplace. All you need to do is send the design to a 3D printer, and your holographic model goes from concept to reality. We all need a little extra motivation at times when it comes to exercising. The HoloLens has the potential to turn such tasks into a game. Think how much more fun you’ll have throwing jabs and hooks at a punching bag when your HoloLens is superimposing a boxer (or threatening mugger) over the bag. Or, imagine getting on your treadmill and replacing the world around you with interesting, interactive, scrolling scenery as you jog. By turning monotonous tasks into a game, HoloLens could make life much more exciting and help you build healthy, productive habits. Gaming is another potential use that was shown off in the introductory video from Microsoft (whose recent history of innovation and improvements Stop Bashing Microsoft: 5 Ways In Which They're Awesome Stop Bashing Microsoft: 5 Ways In Which They're Awesome Microsoft doesn't always get fair treatment. When it comes down to it, they're a pretty awesome company. There's been enough Microsoft bashing, now it's time for some love. Read More is impressive,) and the possibilities of using the HoloLens for gaming are fascinating. 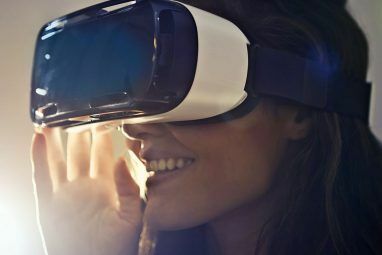 Several journalists were able to get a hands-on look at how this would work during the product’s launch event, and although the demo was rather basic, a fully immersive gaming experience is something gamers have been clamoring for for quite some time. Imagine playing a game like Minecraft using holographic models in your living room. HoloLens promises to make that happen. Unlike Google Glass Google Glass Review and Giveaway Google Glass Review and Giveaway We were lucky enough to get a pair of Google Glass to review, and we're giving it away! Read More , HoloLens is first being geared for use mostly inside the home or office and not necessarily on the go. One way it can be helpful is by visualizing how new decorations would look in your house or apartment. No more trying to picture how that new paint color for your wall will look with your new couch; you’d actually be able to see it projected holographically and make the best decision for your living space. And instead of awkwardly holding a picture up while trying to gauge how it looks in a certain location, your HoloLens can show you exactly how it will look placed in any number of locations! Going to a haunted house during Halloween season is plenty fun, but if you wore a HoloLens, creepy attractions could become even scarier by integrating virtual elements that can’t exist in the real world. On a similar note, supporters of 3D movies 5 Ways To Get 3D Content For Your New 3DTV 5 Ways To Get 3D Content For Your New 3DTV So, lucky you - you got a new 3DTV for Christmas, eh? May I be the first to say, congratulations - you obviously understand that 3D is most certainly not a passing fad, and at... Read More have wanted to make the audience feel like part of the action for years. HoloLens could help them bring virtual elements into the space of the user. This sort of thing could open up a whole new genre of mixed-reality entertainment, leveraging both real and virtual content to achieve the effect on the user. Roller coasters, haunted houses, movies, and laser tag could all be the basis of entirely new kinds of experiences. People spend a lot of money How To Buy Maximum HDTV With Minimum Cash How To Buy Maximum HDTV With Minimum Cash Read More on the latest, biggest, clearest flat screen televisions. But with the HoloLens you could use a number of virtual sceens of any size, saving you hundreds or thousands of dollars. You could even watch movies or browse the internet through a virtual screen no matter what part of the house you’re in (say, lying comfortably in bed). Physical screens and monitors may eventually become things of the past, as we transition to interfaces that exploit physical intuitions about the world and naturally fill the space around you. This would require further development on the HoloLens and even legislative approval (while smart devices are becoming even smarter, using devices like Google Glass while driving is still illegal) but a heads up GPS display would be incredibly helpful for drivers and pedestrians alike. You could see instructions and diagrams laid out on the road in front of you, giving you unambiguous instructions about where to go next. These are just a few of the uses I can see coming for Microsoft’s new HoloLens headset. As with many new smart devices, the potential is enormous. But it will be up to developers and intrepid consumers to try it out and see if it lives up the hype. Explore more about: Augmented Reality, Microsoft, Virtual Reality. The 10 Best Racing Games for AndroidWhat Happens When Robots Can Do All the Jobs? This could be adapted to create virtual classrooms for online schools. Imagine sitting at a virtual desk and then an entire virtual classroom is planted around you. Where you see the professor in the front of the room as if you were in a class room. Instead of rendering actually people, every body could be represented by video game avatars of their design and the entire class room is CG (like your in a game), but you are learning as if you were in a normal classroom. But could still interact with real world objects at your fingertips, like a note pad. They could even have you flipping through a virtual textbox that is linked to any book you happen to have in your hand. E.g. you have a book of the same size/shape in your hand and if you flip a page in it a page in the virtual world flips in the virtual book. However, I think it's biggest impact will be in design. 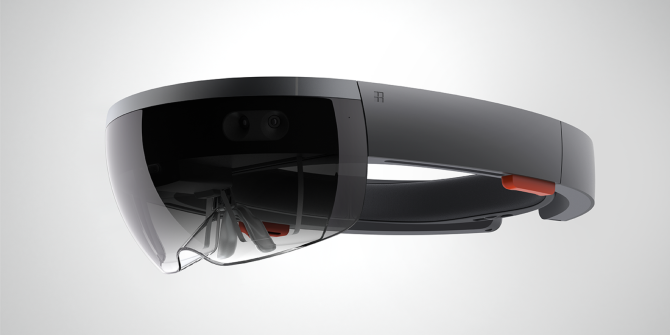 AutoCad software designed for the hololens could be revolutionary. No more fidgetting with limited mouse controls. You can just zoom in and physicall touch a place where you want a 2X4 and it appears there and then manipulate it's length with a pinch motion. Touch a place in the hologram where you want a cable recepticle, where the subfloor will go. Etc walking through the hologram, basically building the whole house (and designing it) virtually. And in such a way that the generated plans from the design are so detailed, they can be fed to a pre fabrication plant to mass produce all the materials to make the house and it can just be constructed on side from it's prefab. Someone could create a website where people can share their designs, and popular designs get bought or indorsed by said prefab plants. Want a new house, don't like the houses for sale? Browse through virtual houses on your holo lens till you find one you like that is being prefabricated, and hire a crew to build it. I can see this being used in school to make a holo classroom or give the students a better look of how the lesson in Chem is done, so there are no fire, acid spills, or explosions. The uses in a diffrent sense, it can might ba able to be used to make a sim of real life for people who have issues with others or who are socialy disabled and they can have pratice while they are at home. or even in the kitchen while cooking, imagine it having a programable GUI that gives you the temp of the food that you put a wireless thermomter on or the amount of time left on that chicken in the oven while you are busy making the potatos for the family coming to visit, while still all at the same time having a virtual cook book in the corner of the screen. Great points, Jelo. The HoloLens certainly seems big enough to be able to comfortably integrate more powerful processing/graphic components, and I think you're spot on with your suggested uses. Exciting to consider the future of AR. If this was paired with a beefed version of a compact computer, like raspberry pi (or its future versions - with more powerful graphics), the potential is endless. Imagine a fire fighter being able to go into a burning building and being guided visually like on a pilot's heads-up display. How about surgeons from a third world country getting real-time instruction on procedures that they may not necessarily have access to. It's already a strong computer of its own, it doesn't need to be connected to another one to do those things.